Four scanners at same time!! Yes you can! Discussion in '3D Scanners' started by DMC, Oct 27, 2015. Figured out how to config exocad to launch Two different exoscan at same time! Kongo-Otto, ICEcad and biodentg like this. 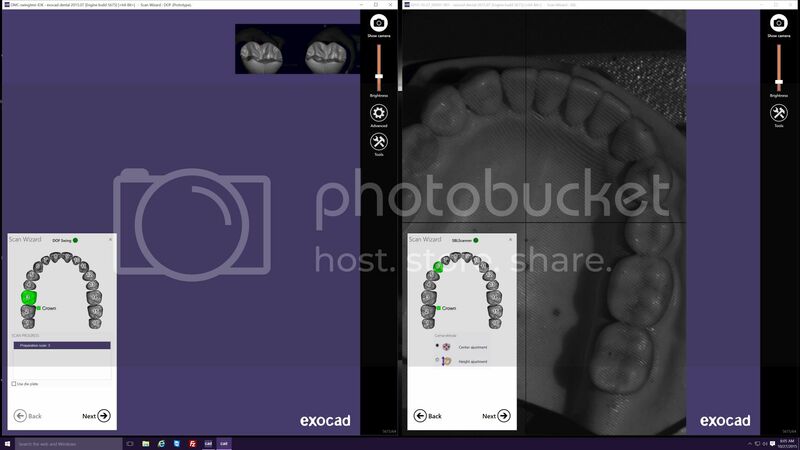 Can have a Medit, Identica, a DOF, Steinbichler, and more running and scanning at same time! Above is a DOF Swing and Steinbichler STI open and scanning same time. How much are the video resources taxed? Any lag or teetering on a ram crash? I am sure that helps a little? is it worth to buy exoscan on medit scanner? Yes, it is more efficient work flow. You don't buy exoscan it us licensed by your reseller. that's good but when i use exoscan i have a decimation on my files and not so good Quality... can somehow Change that? i have a medit identica SE scanner...with identica Software give me a single file with 70-90mb and exocad give me 8-10mb thats a big different...i dont want to loose any data... i call my reseller and said they dont know and when they talk with exocad directly they said that thats the normal and they dont Change it... but can i Change that? thanks! No, exocad does not change the data. I am 100% sure about this. It accept all data you give it. You use to have option in Medit software for regular and dense data output. Not sure what they do now? Maybe option is removed? What files are you looking at exactly? The scan data?? no....I sold Medits, DOF and exocad for many years. You are not correct. exocad does not change the data. This is still scanning and the CAD part of exocad. Now I understand what you are seeing. 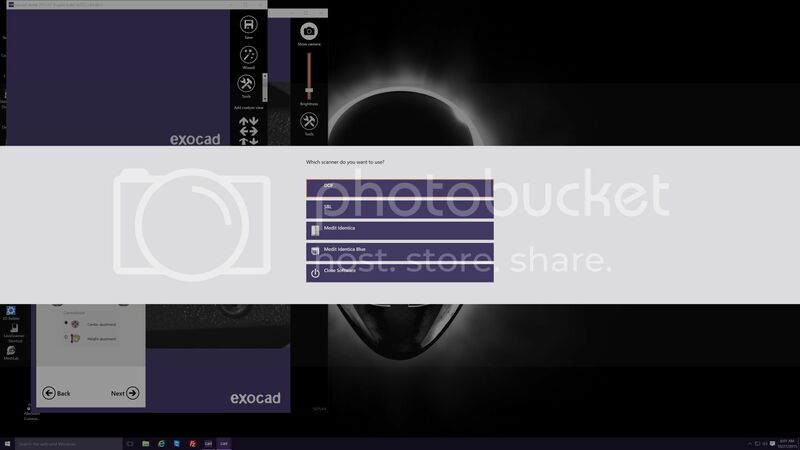 Medit and exocad work together to develop the exoscan drivers and settings. i can not find any XML or maybe is it in another Folder? I do not have a Medit here to test with.